Online trading is widely seen as an appealing way for anyone to make money, by applying simple financial acumen and a basic knowledge of global economics and politics to the movements of international markets. With a computer and a reliable internet connection, you can trade from almost anywhere, whenever the markets are open. 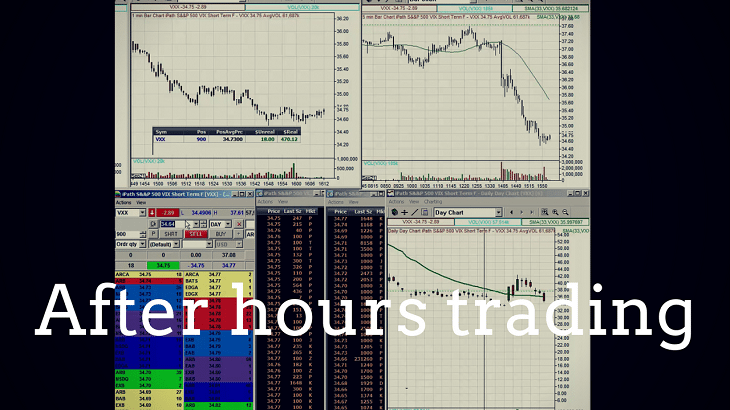 Some online platforms, such as UFX.com, even offer the opportunity to trade when they are closed through After-Hours Trading, or AHT. This creates the potential for larger profits, since there are fewer traders operating, meaning that prices can be far more ‘volatile,’ swinging more rapidly and by larger amounts. Making significant profits from trading over the long-term does, however, demand a fair amount of effort, a cool head and the ability to learn quickly from your mistakes. There are a few basic rules that you need to follow in order to have a better chance of success, irrespective of your objectives, trading strategy and time frame. The first rule is to consider the kind of trading style you want to adopt. Are you ready to spend a lot of time in front of your computer? Are you able to stay focused for long periods? Do you cope well with stress? If your answer to each of these questions is ‘yes’, then scalping or day trading might be the trading style for you. Scalping involves making many trades, each within the space of a minute or so, with the aim of taking advantage of small movements in the markets. It’s particularly effective when an asset isn’t showing a significant medium-term trend in either direction, and is trading within a relatively narrow range. If you don’t plan on spending hours monitoring the markets, then you may be better off adopting a swing trading strategy, where positions are often held for periods lasting between one day and several weeks. Traders with solid knowledge of specific assets and the factors which can affect their value – what’s known as “fundamental analysis” – often prefer this approach. A “position trader,” on the other hand, makes long-term trades, lasting for months or even years. An understanding of macroeconomics, global politics and the dynamics of emerging industries can make this a winning strategy for traders with a great deal of patience. The main advantage is that the rewards can be immense, if, for example, you predict a surge in demand for a certain commodity that will become a key component of a new product with worldwide appeal. Once you’ve thought about the trading style you plan to adopt and have studied how the markets work, it’s important to apply sound money management principles to minimise any losses. One way to do this is to apply ‘stop losses’ to your trades, meaning that a position is automatically closed if its price moves beyond a pre-set limit. You can also use personal rules, such as never risking more than 2% of your total capital on a single position. With the right plan of attack, online trading can be both highly profitable and enjoyable. Make sure you’re fully prepared for the experience and you’ll soon see why more and more people are turning their focus towards this additional income stream.